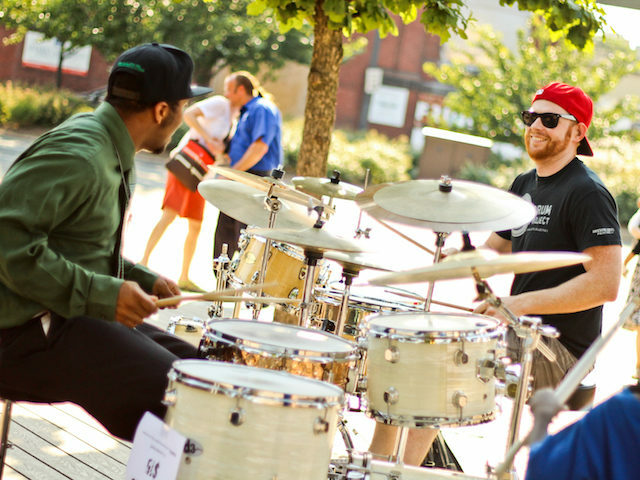 Mass Appeal, part of Make Music Day, brings together thousands of musicians - of all levels and ages - to make music in large, single-instrument groups. The following free events, open to all, will take place on June 21, 2019. Matt Dean will teach traditional West African rhythms from Guinea. Bring your djembe if you have one. 15 - 20 drums will be available.